Economist Dr Rajiv Kumar is appointed the new vice-chairman of NITI Aayog on 5th August 2017. This comes five days after the incumbent vice-chairman Arvind Panagariya announced he was quitting the government think tank on 31 August to return to Columbia University. The government also appointed Dr Vinod Paul, a pediatrician at the AIIMS, as a member of the NITI Aayog, an official spokesman said. 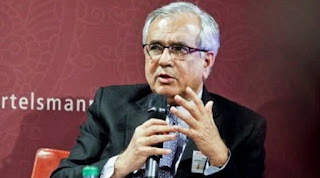 Rajiv Kumar, who holds a DPhil in economics from Oxford and was a senior fellow at the Centre for Policy Research and an author of several books on the Indian economy. 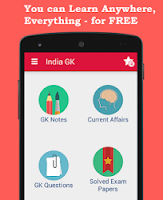 He was also the chancellor of the Gokhale Institute of Economics and Politics, Pune. Kumar also did stints at industry bodies like the Federation of Indian Chambers of Commerce and Industry, where he was the Secretary General, and Confederation of Indian Industry, where he served as the chief economist. But it is his books and articles that gained him wide prominence. Modi and his Challenges, published in 2016, was a text about Prime Minister Narendra Modi.